Robben_Island008: Robben Island: Ozier Muhammad Photojournalist and Lecturer on Trends in this medium. 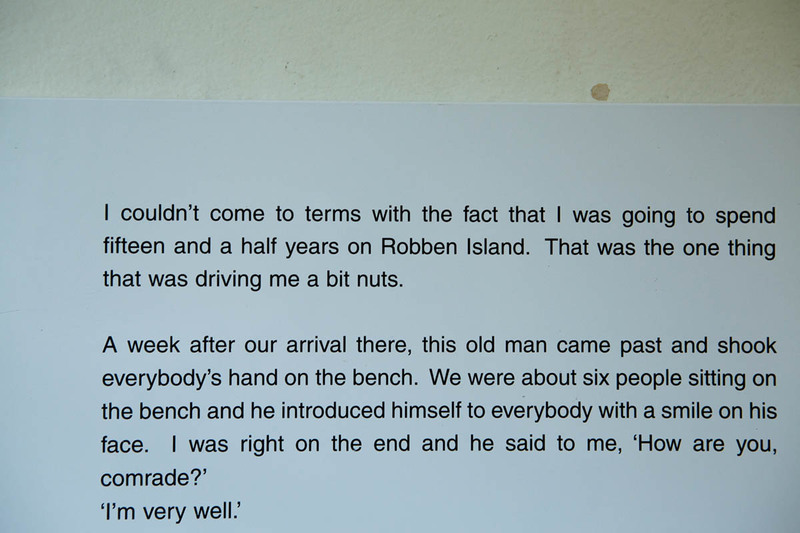 07-05-2013 - A detail of the what Antonio du Preez wrote while imprisoned here. The comrade he was referring to was Nelson Mandela. Du Preez was imprisoned here in this cell from 1986 to 1991 for political reasons.